Fan of Superhero Film Black Panther Breaks Steel Wire...with Her Mouth! 5 Causes of Bad Breath and What You Can Do About It! Are Lasers for Gum Disease Treatment in Our Future? Fifth Harmony's Camila Cabello Chips a Tooth, but Concert Still "Worth It"
Is Dental Treatment Safe During Pregnancy? In the battle against tooth decay, fluoride is an important weapon. Since the discovery of its dental health benefits a century ago, fluoride has been credited with saving countless teeth. But over its history in dental care, this natural-occurring chemical has also had its share of controversy with concerns raised from time to time on potential health dangers. These run the gamut from “conspiracy theory” speculations to credible research like a 2006 National Research Council study that suggested a possible increased risk of bone fracture or cancer from over-consumption of fluoride. Even so, there is actually little evidence or even record of incidence for such dire consequences. The only definitive health effect from fluoride found after decades of copious research is a condition called fluorosis, a permanent staining effect on the teeth. Fluorosis poses a cosmetic problem but does not harm the health of the teeth. 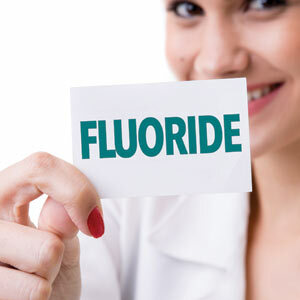 Moderation in fluoride use seems to be the key to gaining its health benefits while avoiding fluorosis. One influential fluoride researcher, Dr. Steven Levy, estimates 0.05-0.07 milligrams of fluoride per one kilogram of body weight (about a tenth the weight of a grain of salt for every two pounds) is sufficient to gain the optimum dental benefit from fluoride. The real question then is whether your family’s current consumption of fluoride is within this range. That will depend on a number of factors, including whether your local water utility adds fluoride to your drinking water supply and how much. You may also be ingesting fluoride through processed foods, juices and even some bottled waters. And you can encounter fluoride in dental care including toothpastes and clinical treatments. One way to moderate your family’s fluoride intake is to be sure all your family members are using the correct amount of fluoride toothpaste for their age while brushing. Infants need only a slight smear on the end of the brush, while older children can brush adequately with just a pea-sized amount. For other tips and advice, talk to your dentist about your family’s fluoride intake and how you might adjust it. Even with the possibility of fluorosis, fluoride still provides an incredible benefit in preventing tooth decay. By understanding fluoride and keeping your intake within normal ranges you can maximize its benefit for healthier teeth and minimize the fluorosis risk. Fluoride is an important weapon in the fight against tooth decay. Fluoride consumption and other applications are especially beneficial during children's dental development for building strong teeth long-term. But the truism "too much of a good thing" could aptly apply to fluoride. If a child consumes too much fluoride over an extended period of time, it could cause a condition called enamel fluorosis in which the enamel surface develops mottled or streaked staining. It's not harmful to the tooth's health, but it can greatly diminish a person's smile appearance. To avoid fluorosis, it's important with the help of your dentist to know and regulate as much as possible the amount of fluoride your child receives. Here are 3 fluoride sources you should manage. Toothpaste. Many manufacturers add fluoride to their toothpaste formula, usually an important way to receive this tooth-strengthening chemical. But younger children tend to swallow more toothpaste than older children or adults. Because the chemical builds up in the body over time, swallowing toothpaste every day could potentially elevate your child's fluoride levels. To avoid this, just use a "smear" of toothpaste on the brush for children under age 2, and a pea-sized amount for older children. Your water system. About three-quarters of all public water utilities add fluoride to their water as an added measure for tooth decay prevention. The amount can vary from system to system, although the maximum amount recommended by the U.S. Government is 0.70 parts per million (PPM). You can ask your local water system how much fluoride, if any, is present or they add to your drinking water. Bottled water. Any type of bottled beverage (water, juices, sodas, etc.) could contain various levels of fluoride. Unfortunately there are no labeling requirements regarding its presence, so the most prudent course is to carefully manage the beverages your child drinks, or stay with bottled water marked "de-ionized," "purified," "demineralized" or "distilled," which typically have lower fluoride levels. For babies feeding on milk, you can use the aforementioned bottled waters to mix powder, use ready-to-feed formula (also low in fluoride) or breast-feed.